Amitabh Bachchan's Thugs Of Hindostan look revealed? - No, not yet. The 75-year-old actor is currently shooting for the Yash Raj Films financed project in Jodhpur and on Tuesday evening a picture, which fan clubs claimed is of the actor from the film went crazy viral. However, the now viral picture appears to be a portrait of an Afghan refugee, which has been attributed to photographer Steve McCurry. Last year, the picture was posted by the photographer on his unverified Instagram account and it was captioned: "I made this portrait of Shabuz, age 68, an Afghan refugee in Pakistan. Many Afghans use only one name." The same picture was not posted on Steve McCurry's verified Facebook page but it is available on his website. 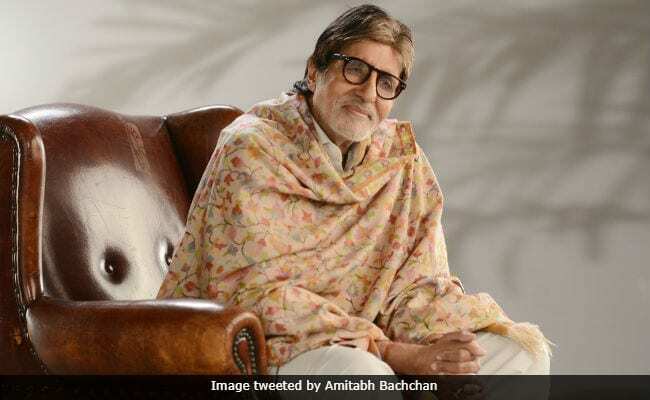 A team of doctors was flown to Jodhpur to look after Mr Bachchan on Tuesday. His wife Jaya Bachchan also told news agency IANS that Big B is "fine." She said: "He has pain in the back and neck. The costumes are very heavy, so, there's some pain. Otherwise, he is fine." Mr Bachchan wrote on his official blog: "I will rest and keep informed in process." Mr Bachchan arrived in Jodhpur earlier this month for the filming of Thugs Of Hindostan, which also stars Aamir Khan, Katrina Kaif and Fatima Sana Shaikh. Thugs Of Hindostan is directed by Vijay Krishna Acharya, who also made Dhoom: 3 with Aamir and Katrina.